I saw this on the internet and it just made me chuckle. Before I was a writer, I was a day dreamer. With a boring work life, my mind often drifted off into unchartered worlds and built up people and places that I’d never seen. Not the best thing to do while on the job, but it didn’t affect my overall performance. When I started writing, I found for the first time in my adult life, that I could focus on the people and activities around me. Because my creativity was being written down, and not imprisoned anymore, I didn’t get submerged into it. I could actually go out and appreciate the things I was doing and the people I was with. That’s how I knew I was a writer. Because my life improved the moment I started to do it. So, tell me. How did you know you wanted to be a writer? I’m working on a new novel! Gheeeeeeee! I’ve been wanting to start this project for several months and couldn’t hold back any longer. My new novel takes place on Earth and on an alien planet called Belum-Ru, as well as on several space stations dotted throughout the galaxy. The mc is a courtroom artist named Elise Lavender. She loves baking and drawing and has a fiesty temper when provoked. She lives in the city, but was raised in the country. Her family is Catholic and she’s big on forgiveness. Her antagonist (at least in the beginning) is Ambassador Rai-Brune, of the planet, Belum-Ru. He’s big on justice and is a political celebrity amongst his people. He’s passionate, but tries to act with logic and purpose, but fines Elise trying in this area. Elise’s roommate and best friend is Marly Rhea. The girl’s never met a baking recipe she couldn’t master and loves wearing cherry red lipstick. She’s loyal, honest, and never backs down from a challenge. Ollison (Rai-Brune’s antagonist, still an alien, but not from Belum-Ru) is an acrobat who prefers the stage life to that of his real one, as a royal. He purposefully disappoints those whose approbation he secretly wishes for the most. He’s always been jealous of Rai-Brune, but admires him too, and has never been able to resolve those two emotions. Since it’s been a while since I started a new novel, I wanted to go at this one a little differently. I usually draft up a little 1 or 2 page outline, just to give the story some structure and give me an idea of where I think I want the story to go. The outline stands at 14 pages right now, and I pop over to it whenever a new detail crosses my mind. Once it’s plugged in, I can keep on writing the story. And I’ll admit, having such a detailed outline has made the writing process a little easier for me. I still get the fun of whipping up those beauties that may or may not make the final cut, but in terms of figuring out the story, that’s done. I don’t feel insecure about what where it’s going and having that confidence has made the writing process more enjoyable for me. The thing is, I’ve already learned a few things from this style of writing that I plan on sharing here in future posts. I hope you’ll stick with me, and maybe share a few of your own writing experiences. Tell me, are you a plotter or a pantser, or maybe a little bit of both? Do you love your style or are you thinking about switching sides? I’d love to chat! Please leave a comment or word of advice. We’re all in this writing-thing together. It’s funny, my writing’s been rejected many, many times. I think that’s what makes acceptance so special. When a magazine or website says yes, it’s like winning the lottery. You feel a high that only someone who’s worked hard, faced rejection, and kept on going can appreciate. Rejection opens the doors to opportunity and self-awareness. Through rejection, writers become self-aware enough to know what they enjoy doing and to persevere in the face of someone saying no. Of someone saying their work isn’t good enough. That’s where opportunity arrises! Take rejection with a pinch of salt. Sometimes you haven’t found the right market. Sometimes your writing needs work. Until you’ve done it a few times and heard what others have to say, it’s hard to tell. Feedback is key. Having people you can rely on to read your work and give critical insight is a must. I have a small circle of friends and family willing to put in the time, and they’ve been super helpful finding typos, plot holes, and asking thoughtful questions. But I’ve recently felt the urge to join a writer’s critique group. I would love to be able to sit around with like-minded people and hash out ideas face-to-face. I can’t wait for our 1st meeting in Feb. I encourage writers to put their work out there. There will always be no’s. But a no isn’t the end of the world. Hearing no can actually improve your writing. To write on in ignorance of it’s flaws or to keep your work secreted away for fear of hearing that terrifying little word won’t help you improve your craft. And you never know, your work may be someone else’s favorite story–heck, you may even become someone’s favorite author! Talk about geeking out! Get out there, put your work in front of others. I bet you’d be surpised how often praise mingles with critique, and how often hearing no or not for us, isn’t as painful as a lashing. So what do you think? Agree? Disagree? Please leave a comment or word of advice. We’re all in this writing-thing together. For Christmas I received this beautiful old Underwood typewriter. It works perfectly, but is a real eye-opener in terms of how easyily mistakes are made and how difficult they are to correct. There’s no delete. There’s only white out or toss out. So, while learning how to use this thing, I decided to grab a stack of my favorite books and type out their opening paragraphs. What a fun exercise! And you know what I learned? Not a bloomin’ one starts with the word it. You know what else I learned? They all start with either dialogue, the lead mc’s name/I, or an action word. Well, someone give me a drink because my wip’s opening sentence is: It was almost moonrise, which doesn’t do anything but tell you the general time of day. I deleted my original opening paragraph because it didn’t do anything for the plot. The dialogue here really gets things going between the MC and her sister–who’s murdered only a few pages later. I feel this is a much better opening than, It was almost moonrise, which is established through showing shortly thereafter, anyway. So, brownie points for some improvement! How’s your writing going? Have you had any breakthroughs to start off the new year? Please leave a comment or a word of advice. We’re all in this writing-thing together. 2018 Wrap Up–and maybe a newsletter? I’ve been toying with the idea of writing a montly newsletter, I have some ideas, but need to figure out the formatting and set-up on WordPress. Hopefully, I’ll get this done in January. So, in lieu of a proper newsletter, I’ll post some fun updates right here! I’m delighted to promote the recent publication of the Fark Fiction anthology: Everybody Panic, available on Amazon. 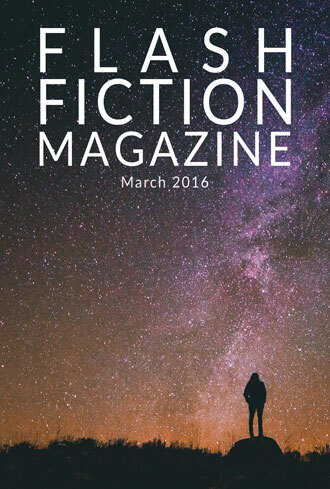 My short story, Pastries in Space, is the first story featured inside. All purchase procedes go to St. Judes Children’s Hospital. I’ve had a handful of family members request signed copies, and I don’t know if you’ve had the thrill of signing something, but it’s super fun. It may be so much fun as to motivate me to write even more–not that I really need such motivation, but there it is. I have 2 short stories in the works that I’m hoping to submit for publication sometime after the new year. I finished the 2nd draft of my werewolf novel, Refining Sylver. After the new year, I plan on editing a printed version so I can snuggle up in bed or in front of a fire while making changes in red ink. I really like sitting down with a printed copy. It’s just a different process and requires a different focus. After the 3rd draft, I plan on seeking betas for feedback, with the intention of agent hunting sometime over the summer–fingers crossed. This is a beautifully written story about a young dancer who loses her leg in an accident who must balance her dreams against her new, much more limited, abilities. I read this in early 2018 and it’s stuck with me the whole year. I highly recommend it! The story is poetic and short–easy to knock out. Butternut is a fiesty 4 year old orange and white tabby who spends most of the day sleeping in my bed, snuggled up with a furry white mouse. She loves privacy, cat nip, and controlled-not-overly-aggressive snuggle-time with me. She avoides my children at all costs. I have two kids–a girl and a boy–who have more energy than an Energizer battery. But they’re at great ages for the holidays. They believe in Santa and understand they can’t touch the Elf on a Shelf–though my son still has to be monitored on the latter. The kids helped me shop for angels on our church’s giving tree and gave canned goods to my daughter’s school. They’re still a little young to understand the needs of others, but they’re completely willing to try. My kiddos playing in the lake during our summer camping trip. I take the month of December off from writing. With so much going on, it keeps the stress low and allows me to focus on having fun with my kids–and getting the shopping done while they’re in school. Taking a break allows me to think about next year’s goals and leaves me eager to get back to work after the holidays. 2019 holds a lot of potential for me and my writing. 2018 has seen the fullfillment of many a goal, and even a dream or two. So, Merry Christmas to you! May your writing be well-drafted and witty. May your coffee mug be full. I attended a writing class on worldbuilding and picked up some great tips from the writing agent/instructor, Moe Ferrera–who, btw, was freaken hilarious. This post will focus on language and names. Unless you’re Tolkien, don’t worry about coming up with your own language. Most often, it isn’t done well, and you can express a change in languages by simply using dialogue tags. Ex: “Let’s get out of here,” he said in chirpy Spanglish. Don’t make your character’s names too difficult to pronounce or too similar in pronunciation. Make sure all names fit within the same culture. Ex: Don’t have names like Yago, Maro, Kalir, and then, Bob. Ex: Don’t use: Jim, Jen, Jimmy, and Jemma. Readers will have a difficult time distiquishing between them–at least at first–and you don’t want readers so confused that they give up. Only use a madeup word when there isn’t a word already in existence for it. Ex: A rabbit is a rabbit, or bunny. It’s not a biroglui. Now, if you take a basic rabbit animal, but give it a twist, like the ability to fly, then give it a new name–that’s fine. But otherwise there’s no need to make things more difficult on yourself and your readers. Don’t use made up profanity–just go with the real thing. Unless you’re writing humor. And the best example of this I can think of is Farscape. Anybody seen it? I’m pretty sure those characters said, “What the frell?” every episode and it was hilarilous. Ex. Gun make. Describe a gun correctly so people in-the-know won’t call you out. I hope these writing tips helpful! And don’t worry about the first draft. Use whatever names and adjectives you want, but clean it up and refine everything during the editing process. Don’t worry. In the writing world, everybody’s baby comes out ugly. At the James River Writers Conference, I sat in on a panel about infusing humor into your writing. So, do you add humor in your own writing? Do you shy away from it? I’d love to add more haha-moments to my own stories. My leading influence in this endeavor is author, Gail Carriger. Her stories are so balanced between humor, action, and love. Do you have a favorite humor-wielding author? Please share in the comments below! We’re all in this writing thing together! Check out my story #Werewolf in 101 Words' anthology.